In the framework of the continuing cooperation of AZL and JEC Group, AZL will again be represented at JEC World 2017 in Paris from March 14th to 16th, 2017 with an exhibition area as well as a full-day program on March 15th. Meet us in Hall 6, Booth C79! 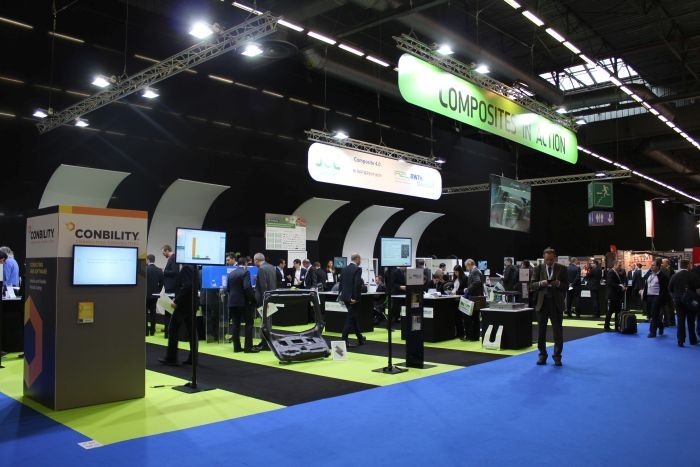 On more than 250 sqm at the special exhibition zone “Composites in action”, the AZL and its 9 research institutes from the RWTH Aachen Campus present their interdisciplinary research covering the entire value chain for composite. One highlight exhibit will be the recently launched Business Platforms for Thermoplastic Composites and High-Speed RTM providing technology-related information, established suppliers as well as an innovative development partners for various lightweight technologies. In a full-day program, the AZL addresses Production Technology for Multi-Material Lightweight Components in a conference. In this session, scientific and industrial speakers present various technologies including material and large-scale system solutions, joining and quality assurance techniques. Find out more. The cooperation of AZL and JEC Group started in 2015 with the aim to jointly promote actual developments and insights regarding integrative lightweight production technology.